In order to serve our clients better, Inforest Communications has developed relationships with service providers in allied areas. Inforest Communications is an Authorized Reseller for pair Networks, one of the largest and best connected hosting providers in the world. Pair operates multiple OC-3c and DS-3 fiber optic circuits to world class network service providers (commonly referred to as “backbones”) from their Pittsburgh datacenter. Pair pursues private data delivery in order to avoid data bottlenecks on the public exchanges of the Internet. Over 90 percent of outgoing data avoids these public exchanges entirely, which means your site will be reachable and responsive, throughout the world. Inforest Communications is an Authorized Reseller for Rackspace E-mail Hosting, Fanatical Support® has made Rackspace the world’s leader in hosting. They deliver enterprise-level hosting services to businesses of all sizes and kinds around the world. 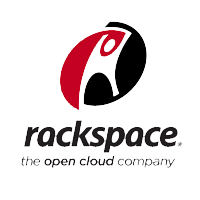 Founded in 1998, Rackspace has grown to serve more than 99,000 customers.